Transfer all the ingredients into bowl and mix well. Pour juice into glass. 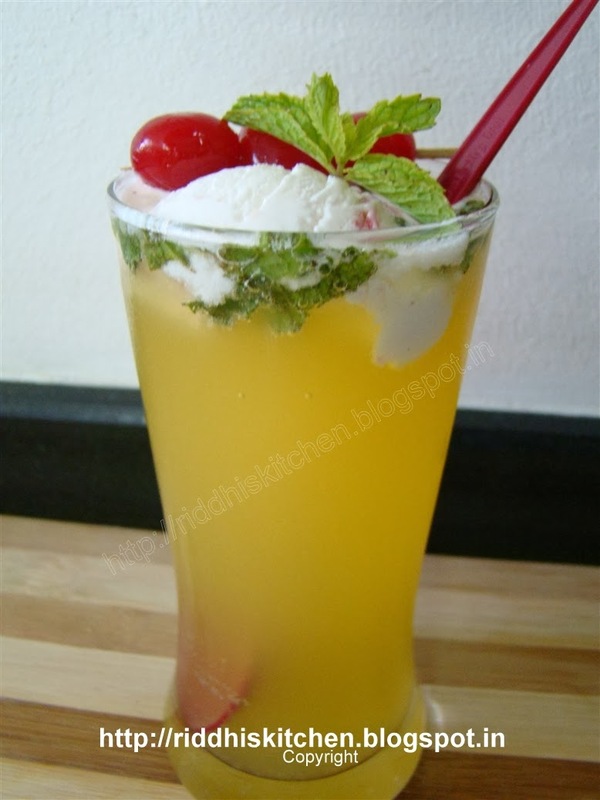 Put vanilla ice cream scoop, garnish with mint leaves and cherries, Serve chilled.